Bunions and hammertoes are known for causing severe foot pain and swelling, but luckily these common joint conditions are easily treatable so you don’t have to live in pain and discomfort. 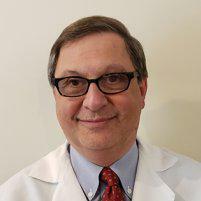 Board-certified podiatrist Philip Messenger DPM, PLLC, at West Side Foot Care on the Upper West Side in New York City has extensive training and experience using modern strategies to treat bunions and hammertoes. Dr. Messenger utilizes conservative treatments whenever possible and only performs surgery when necessary. To learn more about your options for treating bunions and hammertoes, call the office or schedule an appointment online today. Bunions and hammertoes are similar in that they’re both joint-related issues that develop in your feet. However, they occur in different areas. Bunions form when the joint at the base of your big toe gets pushed out of place. This can force your big toe to lean outwards towards the rest of your toes, while your inner big toe joint becomes a protruding bump. You can also develop a similar condition with your baby toe, which is called a bunionette. Hammertoes stem from muscle and ligament imbalances around the toe joint and can occur in any of your toes, though they most commonly occur in the second through fifth toes. This imbalance causes the joints in your toes to bend upwards and become painful. In some cases, your toe may curl under too, which is the most common with the fifth toe. Who gets bunions and hammertoes? Bunions and hammertoes are caused by improper foot biomechanics and are not genetically inherited. They can affect anyone at any point in life. They’re more likely to develop as you get older though, especially if you have arthritis. Women are more likely than men to develop bunions or hammertoes, often because of tight-fitting or pointy shoes. How are bunions and hammertoes treated? If you’re still not getting relief after trying conservative treatments, it might be time to consider surgery. As a podiatric surgeon, Dr. Messenger may suggest surgery to correct a hammertoe or bunion as a last resort. Because these procedures involve repositioning joints and soft tissues, you may have to stay off your feet for a short period of time, depending on the selected procedure. If you have a bunion or hammertoe that’s causing discomfort, schedule an evaluation at West Side Foot Care by calling the office or scheduling an appointment online.